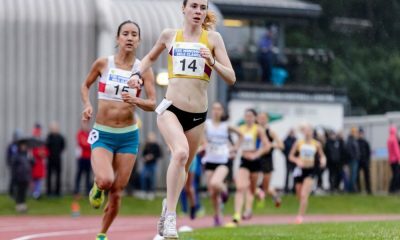 Phoebe Law and Mahamed Mahamed won the Inter-Counties crowns and clinched the overall British Athletics Cross Challenge titles crowns at Prestwold Hall on Saturday (March 10). 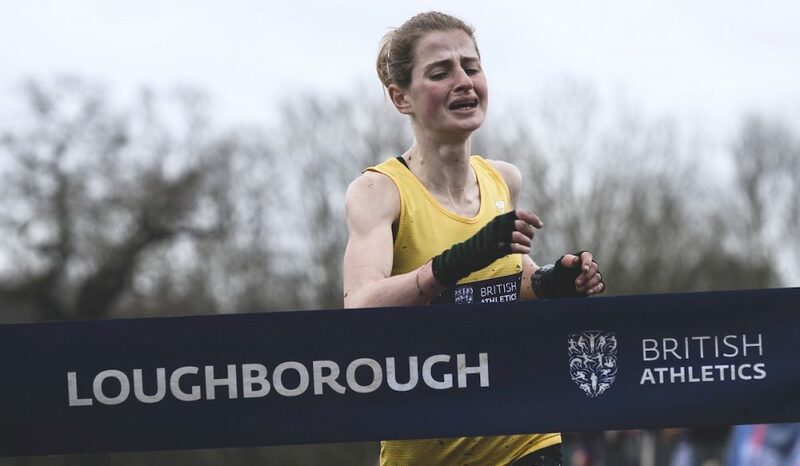 Law, who has already won National and South of England titles this year, added one further crown to her name to conclude a fantastic cross country season. 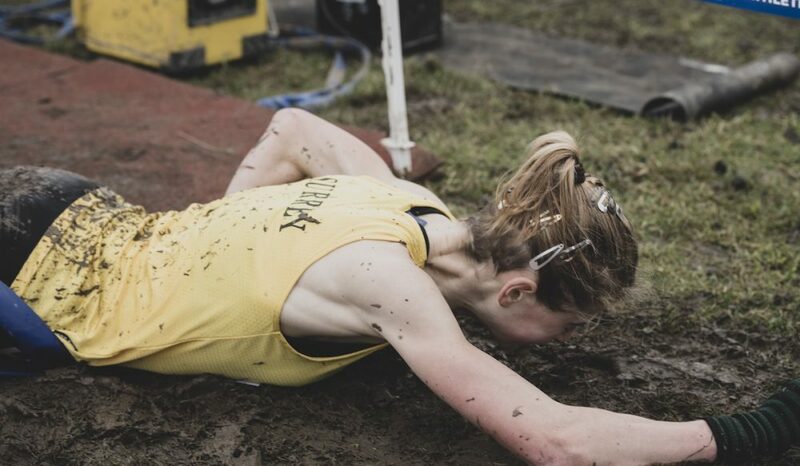 Representing Surrey, the Kingston & Poly athlete looked at home (if that is even possible) in one of the muddiest ever Inter-Counties as she pulled away the second half of the race to win by a 42-second margin. So heavy was the going that she was held back to 32:51 for the 8km course. Leicestershire’s Gemma Steel was second with Lincolnshire’s Abbie Donnelly, who enjoyed the best run of senior career, just nine seconds behind in third. Such was the winner’s effort that she collapsed to the floor as soon as she had cut through the tape. Though ending on equal on points with Steel, the series title was decided on the final positions in Prestwold Hall, with Law also leading to the team win too. Verity Ockenden, who lead the Cross Challenge standing going into today’s race finished 17th and third concludes the series third overall. 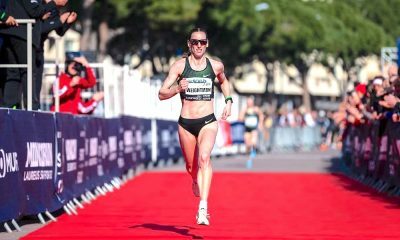 Steel, who is preparing for the IAAF World Half Marathon Championships later this month, was disappointed to lose out on the series title, complaining of stomach trouble. 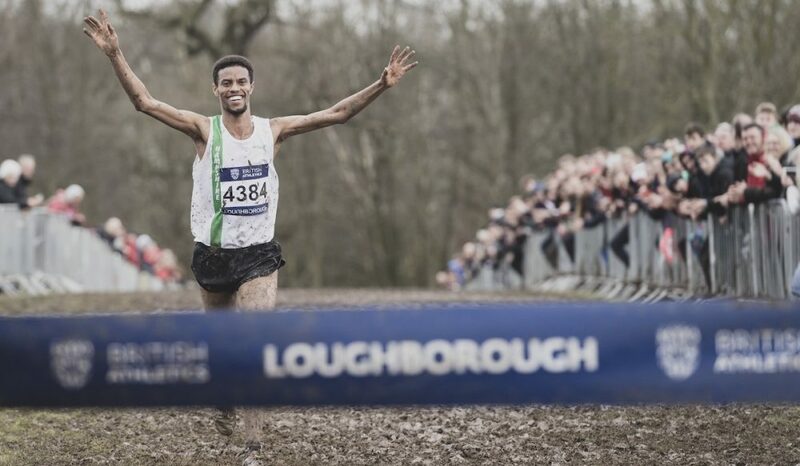 After wins in Milton Keynes, and a National U20 title Mahamed showed there is no end to his breakthrough season. 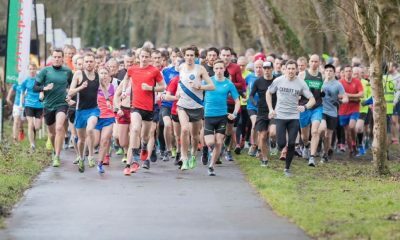 The 20-year-old Hampshire athlete pulled away from his only close pursuers, Sam Stabler and National champion Adam Hickey, at the start of the second lap and stretched away for a 49-second win in 42:23 over the 12km course. Leicestershire & Rutland’s Stabler described the race as the hardest he had ever run as he secured second in the race and in the series. Meanwhile, Essex’s Hickey was another seven seconds behind in third, 27 seconds ahead of Andy Vernon, who was third in the standings. The senior men’s team title went to Middlesex ahead of Lancashire. Earlier in the day, Tom Mortimer took the junior men’s race by 12 seconds over Nathan Dunn to end his season on a high after a disappointing pre-Christmas. Behind Dunn in third, Cardiff’s Jake Heyward was another eight seconds behind as he did enough to confirm the overall Challenge win. It shows the incredible range of the British Athletics Futures Academy athlete who only set a PB of 8:00.93 over 3000m indoors last month. Niamh Brown made a move at about halfway to come away to a nine-second win in the junior women’s race. In the early stages, Brown had to battle Cambridgeshire’s Julia Paternain (Mark Vile, Cambridgeshire), who walked away with the Cross Challenge title for the very first time. Morpeth’s Rory Leonard (North East) was a surprised winner of the U17 men’s race, crossing the line 21 seconds clear of Thomas Keen, who prevailed in the series standings. It was a vast contrast in fortunes for him compared to two weeks ago at the English National when he fell and ended up concussed, unable to finish. Zakariya Mahamed was third, 16 seconds adrift of Keen. Grace Brock took the U17 women’s race and with it the overall challenge title after pulling away about 3km into the 5km race. Describing it as the best win of her career, she was 20 seconds clear of Holly Smith. India Pentland was third, ahead of National winner Ella McNiven. In the U15 boys’ race, Will Barnicoat left it until about three quarters of the way through his 4.5km race to take the lead and moved away to finish three seconds clear of Samuel Martin and Liam Rawlings (Colin Lancaster, Shropshire) who wrapped up the podium positions. 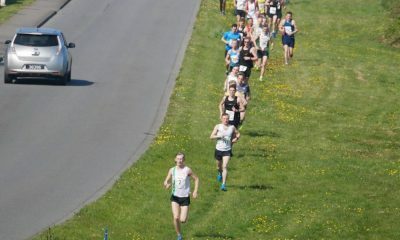 Mohamed Ali, the English champion, was fifth which did enough to win the Challenges series in the age group. Sussex’s Beth Cook used the uphills to her advantage in the U15 race to win by 18 seconds from Scotland West’s Lily-Jane Evans-Haggerty, who was crowned Challenge champion, with Scotland East’s Anna Hedley third in the race at Prestwold Hall.